Sultry songstress Ashanti is renowned for her beautiful vocals taking over the noughties, and 14 years after her debut album, she is still as mesmerising as she always was. Ahead of some exciting upcoming releases, she performs for one night in Detroit. After being discovered in her teenage years, Ashanti was signed to label Murder Inc. Records in 2001 and went on to collaborate on two of the biggest hit songs of 2002 with rappers Fat Joe and Ja Rule. The same year she released her self-titled album which was certified triple platinum and received an amazing eight Billboard Music Awards, two American Music Awards, and a Grammy Award for Best Contemporary R&B Album. Today the phenomenal singer has been making music for fifteen years, has conceived five studio albums and she is not stopping there, alongside performing she is preparing to release a new album as well as an upcoming project with long time collaborator rapper Ja Rule. Sound good to you? 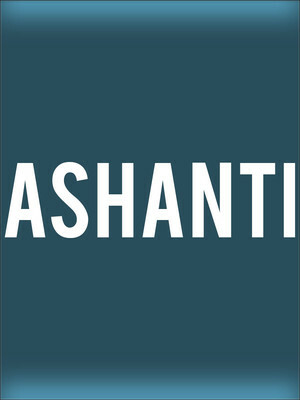 Share this page on social media and let your friends know about Ashanti at Fox Theatre. Please note: The term Fox Theatre and/or Ashanti as well as all associated graphics, logos, and/or other trademarks, tradenames or copyrights are the property of the Fox Theatre and/or Ashanti and are used herein for factual descriptive purposes only. We are in no way associated with or authorized by the Fox Theatre and/or Ashanti and neither that entity nor any of its affiliates have licensed or endorsed us to sell tickets, goods and or services in conjunction with their events.